Anyone can get lupus, but it develops most commonly in women between the ages of 15-45. Men can get lupus too. Lupus is not infectious or cancerous. Diagnosing lupus may be difficult. It may take months or even years for doctors to piece together the symptoms to accurately diagnose this complex disease. Making a correct diagnosis of lupus requires knowledge and awareness on the part of the doctor and good communication on the part of the patient. Giving the doctor a complete accurate medical history is critical to the diagnosis process. Physical examination, results of laboratory tests and medical history help the doctor determine if a patient truly has lupus. Since lupus mimics many diseases, reaching the correct diagnosis may take time. No single test can determine whether a person has lupus, but several laboratory tests may help the doctor to make a diagnosis. 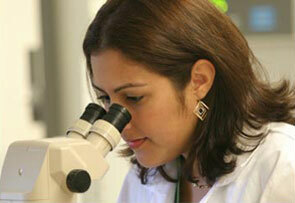 The most useful tests identify certain blood autoantibodies often present in people with lupus. For example, the antinuclear antibody (ANA) test is commonly used to look for autoantibodies that react against components of the nucleus, of the patient’s own cells. Virtually all people with lupus test positive for ANA; however, some drugs, infections, and other diseases also can cause a positive result. The ANA test simply provides another clue for the doctor to consider in making a diagnosis. There are also blood tests for individual type of autoantibodies that are more specific to people with lupus, although not all people with lupus test positive for these. These antibodies include anti-DNA, anti-Sm, anti-RNP, anti-Ro (SSA), and anti-La (SSB). The doctor may use these antibody tests to help make a diagnosis of lupus. Other laboratory tests are used to monitor the progress of the disease once it has been diagnosed. A complete blood count (CBC), urinalysis, blood chemistries, and erythrocyte sedimentation rate (ESR) test can provide valuable information. The ESR is a measure of inflammation in the body. It tests how quickly red blood cells drop to the bottom of a tube of unclotted blood. Another common test measures the blood level of a group of proteins called complement. People with lupus often have low complement levels, especially during flares of the disease.